The West Coast Wilderness Railway employs personnel across numerous areas of the business, including Rail Operations, Maintenance, Customer Service, Food and Beverage and Administration. Would you like to work in a diverse and enthusiastic team in a growing, award winning business that is unique and extraordinary? You will join a team ranging from café staff and tour guides to locomotive drivers and maintenance crews, there’s a range of diverse roles to choose from. Do you want to be challenged and meet new people? Every day offers something new. You will meet people from all over the world as you play your part in sharing remarkable stories that amaze and inspire. 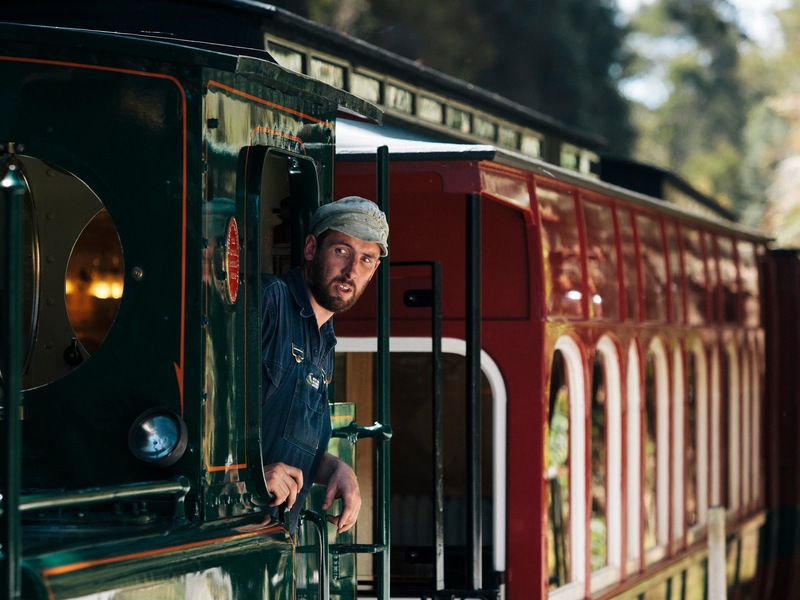 Located on the West Coast of Tasmania, this unique heritage railway takes tourists through ancient rainforest and explores the incredible stories of the people that forged history in the area. Vacancies are advertised in local and national media and online channels, as well as via our social media channels. Check this page for the latest updates on employment opportunities with the West Coast Wilderness Railway. West Coast Wilderness Railway is looking for the right people all year round, though our main hiring period is in Sept-December each year. With roles based in both Queenstown and Strahan, there is opportunity for adventure as both locations are close to world heritage areas, multiple walking tracks, mountain bike trails and kayaking locations for you to explore. Which role is for you? Send your application including a cover letter specifying your desired role with a current resume to hr@wcwr.com.au.